Home › Dorchester/Boston › Pandas! 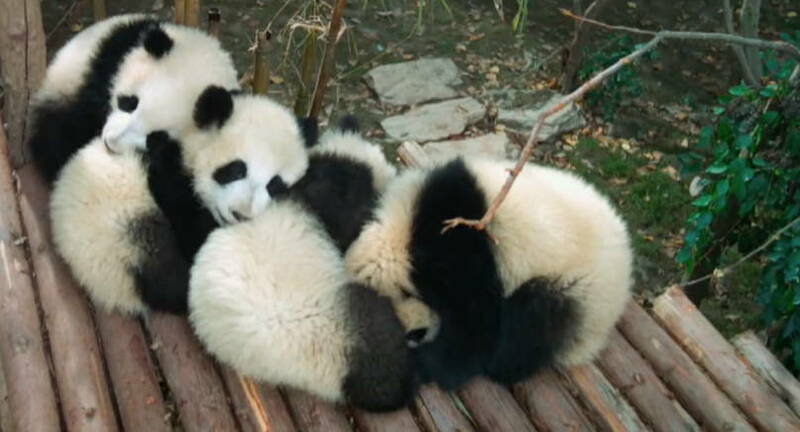 Giant panda overload this week! Earlier in the week came the first episode of Martin Yan’s newly revived TV series, Yan Can Cook. The new series, Spice Kingdom, is described as “a 13-part series that explores the many aspects of how food and spices helped shape the history and culture of Western China.” Its first episode, Panda-monium, started with the pandas at the Chengdu Panda Base and unsurprisingly featured bamboo recipes.